The UN has definitely stumbled in dealing with the Rohingya issues and Bangladesh’s friendship with other countries has been tested in this crisis, Bangladesh Enterprise Institute vice-president Humayun Kabir says in an interview with New Age. For Bangladesh diplomacy, this is quite a challenging time, Kabir, a former ambassador and secretary at the Ministry of Foreign Affairs, says.‘Because there are larger issues beyond the humanitarian face of the Rohingya crisis, we have seen our friendship with other countries tested,’ he notes. 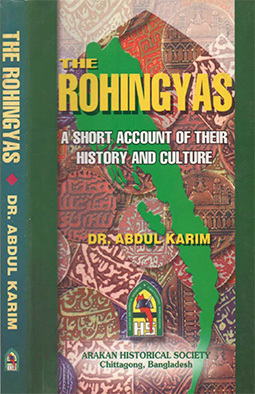 How would you relate recent flows of Buddhists, Khumi and other ethnic community people into Bangladesh from Myanmar with the process of repatriation of Rohingyas to the country? Rohingyas come to Bangladesh as local environment in Myanmar is hostile, both in Rakhine and in other parts of the country. What we see now is that members of other ethnic communities are coming into Bangladesh as a result of protracted conflicts. What is important here for a sustainable, safe and dignified return of the Rohingyas is also linked to creation of an enabling, safe and peaceful environment within Myanmar. That now relates to both the Rohingyas and the communities coming to Bangladesh as a result of conflict in Myanmar. What preconditions do you think must be ensured for enabling environment for sustainable return of Myanmar nationals? It needs building up an inclusive state with presentation of all communities and giving them rights to live in Myanmar as dignified citizens of their country. Depending too much on a mono-dimensional interpretation of nationalism can create difficulties that have been proved many a time and in many countries. For example, Bangladesh is largely a Muslim majority country. But people of other religions and communities are also part of our national fabric in making an inclusive and participatory nationalism, in which everyone will have equal opportunities. We are in the vicinity of Myanmar and we can offer them lesson on building an inclusive state and creating opportunities for all people in economic growth and other development processes. There is an impression among people that the world in general and the UN in particular have failed in tackling the Rohingya crisis to stop atrocities in Myanmar. What do you think? I would not say that this kind of criticism does not exist. But look at the realities on the ground. We’ve been observing many other places in the world. The UN is an organisation by member states. So when we are to make a judgement on the UN, we need to keep in mind that it reflects instincts and policies of the member states. I see the UN in two layers — one where the secretary general and other UN offices sit. In that places, the UN speaks about the Rohingya crisis quite strongly about atrocities in Myanmar and efforts are on to make people responsible for the crimes accountable. They extended support both to Bangladesh and Myanmar for creating an enabling environment for return of victims. When we see the member-based UN, there we see some challenges. Some countries have indeed maintained certain stances which have not been that helpful to resolve the crisis. Some members in the UN Security Council are not comfortable about going the whole hog to hold accountable and press Myanmar to compel them to take back the Rohingya people. The international environment is a fluid area. There, perhaps, we need to do more work to get the membership-based UN more active so that it can contribute to the solution of this problem. On that count, if the UN has failed, I would say that it is a mixed one. I would not say that the US has failed, but the UN has definitely stumbled. I believe, at the interests of the international community we all should help the UN to become successful in resolving the crisis. How do you see the role of China, a big friend of Bangladesh and which has strategic relations including investments in many areas? China is playing a nuanced game. We cannot say that China is against the repatriation of Rohingya people. But the question is if China is doing what it could do to help us on the issue. China wants Bangladesh and Myanmar to solve this problem bilaterally. But we know solving it bilaterally would not be easy, and there I think some pressure or persuasion on Myanmar could be perhaps helpful. China could play a positive role on this aspect, and I still believe China can act on that, which is not for Rohingyas alone, it is also important for China’s own interests to maintain peace and stability in the region. Now we are talking about Asian century in which China is the leader. China has a huge strategic and economic stakes both in Bangladesh and Myanmar and in South Asia. A peaceful South Asia and South East Asia could benefit China and the two regions. Rohingya could be a test case for China from this aspect. How do you see the role of the US, which considers itself the global leader? As for leadership of the world, the US has been sending mixed signals over last several years. The US has withdrawn from the TPP, a major economic instrument and system. They now come up with an Indo-Pacific Strategy. They, however, have taken strong position on the Rohingya issue and fully supported the point of safe return of the community. They want to hold people accountable. They have imposed sanctions on a section of Myanmar persons found involved in atrocities in Rakhine. But in terms of global priority, we understand that the US has certain limitations and the US does not want to put much pressure on Myanmar lest it should go into further hold of China. The US is in fact playing a balancing game here. But I see the US’s overall role on the issue has been positive, and I believe that the US can still put in coordination with India and Japan much pressure on Myanmar for facilitating rightful return of Rohingya from security, strategic and economic interests of America. What do you think about role of the EU and its member countries? We should not take the Rohingya crisis as a zero-some game as all can gain as the Europeans can work with China, Americans can work India and Japan as solution to the crisis is not that difficult. The only thing is Myanmar needs to understand the reality on the ground as they cannot deny their own people and they cannot disenfranchise their own people. They cannot deprive them of citizenship and other rights. ASEAN is a little handicapped in the matter. Initially, Indonesia and Malaysia were quite open, but we understand that ASEAN has been following a non-interfering principle in the internal affairs of the member states. But I still believe ASEAN could perhaps take some pro-active role here as this is not a problem for Bangladesh and Myanmar only. It could [adversely] affect the other ASEAN member States as well as there are risks for anybody from possible desperate acts from Rohingyas. How do you assess the role of India, next door neighbour to both Bangladesh and Myanmar? India has been playing a safe game as they are acting on the humanitarian side. We hear that they are supporting the Bangladesh position, but in terms of putting pressure on Myanmar, they are playing on both sides. I understand that for India it is a difficult situation as they want to safeguard their strategic and economic interests. We, however, expect India to play a moral role here persuading Myanmar to see the light of the day in a sense that an unresolved Rohingya crisis would create difficulty for all of us. How do you assess diplomatic and other steps the Bangladesh government has taken so far to face the crisis? The government has been quite active. The government has become initially successful in pursuing Myanmar to accept that the Rohingyas are from Myanmar. They in principle accepted the fact that they should take them back, although they are providing some barriers putting in the verification process. There, I believe, Bangladesh diplomacy has seen some degree of success. But diplomacy is a dynamic process and the crisis we are facing is itself continually evolving. There we need to continue to remain innovative in terms of diplomacy and explore extra grounds until this problem is resolved. For Bangladesh diplomacy, this is a quite challenging time. Because, there are larger issues beyond the humanitarian face of the Rohingya crisis, as we have seen our friendship with other countries tested. In the evolving contexts, we need to think afresh on how to manage the regional environment in our benefit. There I think we need to update our understanding, increase our efficiency and the level of our effectiveness. This is not only for Rohingya issue, it is also important for our engagements in South Asia and maintaining our economic and strategic interests at the global levels. The humanitarian envoy of the United Nations secretary-general has laid emphasis on a political solution to the protracted Rohingya crisis, which has been a serious problem for Bangladesh. The chief of the United Nations International Children’s Emergency Fund (Unicef) expressed concern about inadequate funding to handle the crisis which began in August 2017 following brutal persecution of the Rohingyas in Myanmar’s Rakhine state. “Humanitarian is not the only solution. Humanitarian aid, action is just to mitigate the suffering of the people and to try and meet the basic needs for them,” envoy Ahmed Al Meraikhi told a press conference at a Dhaka hotel on Wednesday. “I think it is important to have a political solution. We have to work together to get the solution,” he said. The Rohingyas want to go back home but they are concerned about their security, he added, urging donors to donate more for the refugees. Adding to this, Unicef Executive Director Henrietta Fore at the same event said: “Shortage of funds is always a trouble. It is difficult to find enough humanitarian funding.” She said they generally receive 50-70% funding against any appeal during an emergency or humanitarian crisis. “There are 300 emergencies a year,” she said, adding that because of this, they look for private and public donors to meet the rest of the funding needs. Bangladesh is currently hosting over 1.1 million Rohingyas who fled persecution at Rakhine, now in multiple refugee camps in Cox’s Bazar. Meraikhi and Fore held the press conference after visiting the refugee camps on Monday and Tuesday. Sharing her experience in Cox’s Bazar, the Unicef chief said there was a greater need for the people to feel that they were out of the crisis. “It is very important for the United Nations to have a stance of safe and dignified return [of the Rohingyas] and it must be voluntary. “We have not created that situation, but we are working privately and publicly in all the agencies in the United Nations to try to make this thing happen,” she added. Unicef Bangladesh has appealed for $152 million to provide 685,000 Rohingya refugees and host community residents with critical support in 2019. As of February, the UN agency said, it has received 29% funding against its appeal. According to a joint press release issued by Unicef chief Fore, and UN secretary-general’s envoy, Meraikhi, half a million Rohingya children are stateless refugees in Cox’s Bazar, increasingly anxious about their futures, and vulnerable to frustration and despair. The massive humanitarian effort led by the Bangladesh government with international support has saved countless children’s lives, it said, adding that there is no viable solution in sight for these Rohingya children, who live in the world’s largest and most congested refugee settlement. In Myanmar, the majority have no legal identity or citizenship. In Bangladesh, children are not being registered at birth, they lack a legal identity, and they lack a refugee status, said the press release. It added that until conditions in Myanmar lead to those eligible returning home, Rohingya children remain a status-less minority. This excludes these children from a formal education curriculum and they are desperately in need of marketable skills. The American Jewish community stands united against the genocide of the Rohingya people and the persecution of all ethnic minorities in Burma. Inspired by the Jewish commitment to justice, the Jewish Rohingya Justice Network (JRJN)* works to promote a robust U.S. and international response to the Rohingya genocide. Convened by American Jewish World Service (AJWS), we are the coalition of 19 American Jewish organizations that together encompass the support of millions of American Jews, including all four major branches of American Judaism. Together, we are committed to ending the atrocities against the Rohingya people. “Today, we stand up as Jews and Americans against the ongoing genocide of the Rohingya people by the Burmese military, as we believe deeply from our own historical experience and understand from our ethical values that we cannot remain silent when any people is on the brink of destruction simply because of race, ethnicity or religion. American Jewish World Service, which provides direct support to the Rohingya and other oppressed ethnic minorities and human rights activists in Burma, is proud to join with the millions of Jews represented by the Jewish Rohingya Justice Network to demand that the killing cease and that justice is pursued, “ said Robert Bank, President and CEO of American Jewish World Service. The Jewish Rohingya Justice Network recognizes that the Rohingya people are facing a genocide. “The Myanmar [Burmese] military has been slowly erasing the Rohingya for quite some time, fanning the flames of hate and dehumanization,” said Ann Strimov Durbin, director of advocacy and grantmaking at JRJN member Jewish World Watch. Burmese military forces escalated their coordinated campaign against the Rohingya people on August 25, 2017. Soldiers, along with Burmese civilians, burned Rohingya villages to the ground and indiscriminately massacred Rohingya men, women and children. More than 720,000 people were forced to flee to refugee camps in Bangladesh. 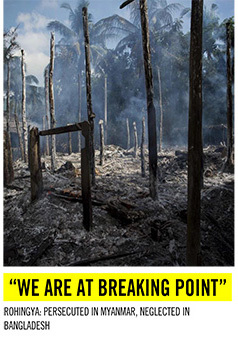 Credible reports from the UN Fact Finding Mission, the Public International Law & Policy Group (PILPG), and The US Holocaust Memorial Museum, now say sufficient evidence exists that the Burmese military maintained a clear intent to destroy, in whole or in part, the Rohingya people – the legal hallmarks of the crime of genocide. The United States Holocaust Memorial Museum confirmed“compelling evidence that the Burmese military committed ethnic cleansing, crimes against humanity, and genocide against the Rohingya.” These statements are based on irrefutable facts. “In the Talmud, our sages teach that if we can speak out against injustice but choose not to, we become complicit in said injustices. Our history as the Jewish people has shown us the grave consequences when people fail to act in the face of genocide. Now, as we witness the genocide of the Rohingya people, we call upon the United States government to hold those responsible accountable and work toward ensuring the complete restoration of human rights for the Rohingya community,” said Rabbi Jonah Dov Pesner, director of the Religious Action Center of Reform Judaism. Throughout Jewish history, we have known what it is like to face genocide, expulsion, and exclusion from society. The persecution and government-sanctioned brutality against Rohingya people echoes the persecution suffered by Jews throughout history. The JRJN is acting powerfully on our promise that “never again” means no genocide ever again against any people. The Jewish community calls upon the U.S. government to respond to the magnitude of this genocide by leading in bringing justice for the Rohingya people. We will continue be at the forefront of this fight, working together to build a unified response to the Rohingya crisis. The Jewish Rohingya Justice Network is the powerful consortium of Jewish NGOs advocating for the rights of the persecuted Rohingya people of Burma. JRJN’s membership includes 19 organizations and all four major branches of American Judaism. *Members include American Jewish World Service, Jewish Council for Public Affairs, American Jewish Committee, Jewish Community Relations Council of New York, Union for Reform Judaism, HIAS, Anti-Defamation League, Jewish World Watch, JACOB, The Orthodox Union, T’ruah, Reconstructing Judaism, Reconstructionist Rabbinical Association, and the Rabbinical Assembly. Allies include Hebrew College, The New York Board of Rabbis, Uri L’Tzedek, Foundation for Ethnic Understanding, The Shalom Center. American Jewish World Service (AJWS) is the leading Jewish organization working to pursue justice and fight poverty in the developing world. By supporting hundreds of social change organizations in 19 countries, we respond to the most pressing issues of our time—from disasters, genocide and hunger to the persecution of women and minorities worldwide. With Jewish values and a global reach, AJWS is making a difference in millions of lives and bringing a more just and equitable world closer for all. Learn more at www.ajws.org. Prime Minister Sheikh Hasina on Friday welcomed the decision of the International Criminal Court (ICC) to send a team for ‘preliminary examination’ of the atrocities on Rohingyas by Myanmar Army. The premier came up with this observation in a meeting with ICC Chief Prosecutor Dr. Fatu Bensouda on the sidelines of the Munich Security Conference, Foreign Secretary Md. Shahidul Haque told. In press briefing Md. Shahidul Haque further told that Sheikh Hasina also assured the ICC to give all possible support to the team which is scheduled to visit Bangladesh next month. PM’s Press Secretary Ihsanul Karim was present at the briefing. Shahidul Haque said the prime minister and the ICC chief prosecutor discussed the issues relating to the trial of genocide of Pakistani Army in Bangladesh in 1971 and atrocities on Rohingya nationals in Myanmar. He said Prime Minister Sheikh Hasina laid importance on bringing the perpetrators of the genocide of Pakistani Army in Bangladesh in 1971 to book. About the trial of atrocities on Rohingyas, Dr Fatu said the ICC has already brought the Rohingya issue under its jurisdiction and set up a court for trial of the perpetrators. He said the ICC team will visit Bangladesh to have the ‘preliminary examination’ aimed at establishing the case. The prime minister also underlined the background of the killing of Bangabandhu and his family members in 1975 and informed the ICC chief prosecutor about the trial process of the killers. Dr Fatu, a national of Gambia and international lawyer, said she knows about the brutal killing of Bangabandhu. The ICC chief prosecutor requested the prime minister to visit the ICC to speak to the judges on the issue of the trial of the 1971 genocide. Dr Fatu thanked the prime minister for playing a pioneering role in the ICC. “Bangladesh Ambassador is actively playing role in various committees in the ICC,” she said. The ICC is a new area where Bangladesh is being involved very actively in recent time, the foreign secretary said. Earlier Executive Director of the International Campaign to Abolish Nuclear Weapons Nobel laureate Batrice Fihn called on Prime Minister Sheikh Hasina. Fihn thanked the Prime Minister for Bangladesh’s firm stance on nuclear weapons abolition issue and appreciated Bangladesh as the country since Bangabandhu’s era in 1974 has been making constant efforts to make South Asia a nuclear free zone. The foreign secretary said Fihn hoped that Bangladesh would take a pioneering role in abolishing nuclear weapons as two big countries in the region developed such weapons. Haque said Fihn praised the prime minister’s diplomatic efforts to bring peace and stability in the region soon after nuclear bomb tests in India and Pakistan in late nineties. She also recalled the prime minister’s visit to the two countries aimed at pursuing them to stop nuclear arms race and spent the money for development and poor people. Bangladesh is one of the first countries which signed the convention on abolition of nuclear weapons, she said. Fihn informed the prime minister that they are considering organizing an event on abolishing nuclear weapons on the sidelines of the coming UN General Assembly and invited the premier to join the programme. In this undated AFP file photo, Rohingya refugees queue for food at the Kutupalong refugee camp in Bangladesh. State Minister for Foreign Affairs M Shahriar Alam has sought the support of OIC member states for creating a conducive situation in Myanmar for the Rohingyas’ safe and dignified return. The state minister came up with the call while briefing OIC ambassadors and delegates about the evolving situation with the crisis at an OIC meeting yesterday, said a press release issued by Bangladesh Foreign Ministry today. He raised the possibility of creating a civilian “safe zone” for the returning Rohingyas in Myanmar, to be monitored by the human rights and humanitarian outfits in the concerned regional context. Shahriar Alam also shared information on the government’s plans to relocate a portion of the Rohingya population in Cox’s Bazar to the Bhashan Char island in consultation with all concerned stakeholders. “By opening our borders to the persecuted Rohingyas, Bangladesh has not only saved lives but also stabilised the entire region,” the junior minister said. The international community has a shared responsibility to help restore the Rohingyas’ fundamental rights and freedoms, including their right to return to Myanmar in safety and dignity, said Shahriar Alam. The junior minister of Bangladesh arrived in Geneva on Wednesday to attend the launch of the UN Joint Response Plan for the Rohingya Humanitarian Crisis for 2019. The launch will take place at an event at the UN today. The OIC ambassadors and delegates from Turkey, Saudi Arabia, Egypt, Indonesia, Pakistan, Lebanon, Jordan, Libya, State of Palestine and the Maldives reaffirmed their solidarity with the forcibly displaced Rohingya and commended Bangladesh for its generosity in hosting them. The OIC member states also reiterated their commitment to help find a peaceful and lasting solution to the crisis through sustained engagement in the relevant human rights and humanitarian fora in Geneva. State Minister Alam also had a bilateral meeting with UN High Commissioner for Human Rights Michelle Bachelet, where they discussed the latest developments with the Rohingya crisis. The research, conducted by Swinburne University of Technology, Australia, interviewed 16,000 people and collected data on 3,300 households. A latest study has suggested that Myanmar should pay US$6 billion in damages to the Rohingya and the government of Bangladesh as the host country. The compensation should be paid under two categories: economic loss and psychological loss, the study said. Titled “Rohingya Mass Exodus: Who Should Pay Compensation and How Much?”, the study was unveiled in a seminar on “Rohingya Crisis-Global Challenges” at the Institutions of Diploma Engineers, Bangladesh (IDEB) in Dhaka on Tuesday. The research, conducted by Swinburne University of Technology, Australia, interviewed 16,000 people and collected data on 3,300 households. The sample size for the study was 800,000 Rohingya refugees. Dr Mohsin Habib, director and senior lecturer of the International Business Program of the university, presented the research findings. The research concluded that the Bangladesh government should get US$2.6 billion as compensation for the losses including losses for environmental degradation and overall expenditure in order to respond to the crisis. Based on the assets owned by refugees the study calculated that Rohingya refugees should get $165 million for the loss of land. The study found that the Rohingya refugees on an average owned two acres of land and three ponds per person. The damages also include US$771 million for migration costs, US$98 million as the price of their homes, and US$220 million for the loss of other properties. According to the study, Myanmar should pay US$2.1 billion as compensation for the trauma caused to the Rohingya refugees as a result of persecution in the country. “The compensation has been calculated measuring two types of losses–economic and psychological. The data was verified by diplomats in Myanmar and the losses were estimated based on the exchange rate,” said Dr Habib. Giorgi (George) Gigauri, chief of mission of the International Organization for Migration (IOM) in Bangladesh, said refugees outnumber the locals, making the latter a minority, adversely affecting employment and standards of living. The Chairman of the Palli Karma Sahayak Foundation, Dr Qazi Kholiquzzaman Ahmad said the Rohingyas must go back to Myanmar as they are citizens of the country. Chaired by IDEB President Engr A K M A Hamid, the seminar was also attended by Planning Minister M A Mannan and Senior Human Rights Advisor of the United Nations Bangladesh Heike Alefsen, among others. Triggered by a wave of rebel attacks, the recent surge in hostilities in Myanmar’s western Rakhine state marks an ominous watershed in a hitherto low-intensity conflict between Arakan Army (AA) insurgents and government forces. After four years of low-key political and military infiltration from bases several hundred kilometers away on Myanmar’s northern Chinese border, assaults by hundreds of ethnic Rakhine fighters on four police posts in early January appeared to indicate the ethno-nationalist rebel group had shifted its operational focus squarely back onto its home-turf in Rakhine state. The military, or Tatmadaw, responded at speed by air-lifting crack units into Rakhine from other parts of the country and ratcheting up operations backed by artillery and air power aimed at “crushing” rebels who now operate across almost all townships in the northern half of the state. Last week, on January 31, the Tatmadaw staged a day of well-publicized war games in Meiktila in central Myanmar show-casing a range of improved capabilities, not least parachute assaults, low-level air strikes and aerial resupply drops. Attended by armed forces commander-in-chief Senior General Min Aung Hlaing, the drills were clearly intended to send a blunt message both to the general public and the AA: the gloves are coming off. Fighting for far-reaching autonomy in a nation dominated politically, economically and militarily by its ethnic Burman majority, the AA is flexing real strengths which have undoubtedly underpinned its current assertiveness and confidence. Those strengths may also, however, have instilled a dangerous over-confidence. Not least is a significant level of popular support, particularly among Rakhine youth both inside Rakhine state and beyond. As detailed in a January report by the International Crisis Group, that support has been boosted by the mishandling of the state’s politics by the National League for Democracy (NLD) government nominally led by State Counselor Aung San Suu Kyi and a growing perception that political channels for protest via state politics have been exhausted. Popular support and a dynamic leadership headed by the AA’s youthful 40-year-old commander Tun Myat Naing has translated into a remarkable surge in armed strength in recent years. A current assessment by one regional intelligence service puts the AA’s numbers – in 2015 believed to be around 2,500 – at between 5,000 and 6,000. Figures cited in the Myanmar media are as high as 7,000. Rapid growth has been underpinned by apparently rich cash flows. AA spokesmen have asserted that lucre has come from donations, both from wealthy benefactors as well as migrant Rakhine workers who have fled poverty at home to work in other cities in Myanmar. But few analysts doubt that AA’s funds have also derived from involvement in the huge trade in methamphetamine that moves between northeastern Shan State where the group operates into Bangladesh. Finally, the group has honed its military capabilities through its membership in the Northern Alliance-Burma (NA-B), a coalition of four ethnic insurgent groups based in the north of the country which has declined to sign the government-sponsored Nationwide Ceasefire Agreement (NCA). Training and headquarters provided by a Northern Alliance ally, the Kachin Independence Army, near the KIA’s capital of Laiza on the Chinese border, has been essential to the AA’s growth. Small-unit tactical skills and real-world combat experience gained since 2014 in the Kokang region of Shan state with ethnic Chinese forces of the Myanmar National Democratic Alliance Army have also been important. The AA’s combat capabilities have also been underpinned by modern small-arms acquired both from the KIA and the powerful United Wa State Army (UWSA), which from behind the shield of its own ceasefire agreement with the government has served as the Northern Alliance’s logistical godfather. Striking as they all are, though, none of these strengths provides the answer to the question that will soon weigh heavily on AA field commanders in Rakhine state: how to sustain and expand guerrilla forces while avoiding being ground down by superior Tatmadaw firepower? In Rakhine as elsewhere, that will depend on a reliable and steady source of munitions and lines of supply between that source and front-line combatants. The AA faces daunting challenges on both counts. To date, the group’s primary source of munitions has been the KIA and the UWSA. If not entirely dependent on China, both armed groups are certainly subject to Chinese influence and pressure. And, given that Beijing has no interest in the Rakhine war spreading state-wide to impact on its Belt and Road Initiative specifically and national economic and political stability generally it seems likely that both the KIA and UWSA will be under growing pressure to distance themselves from logistic support for the AA. Supply lines promise to be even more problematic. There is certainly no “Tun Myat Naing Trail” leading from KIA bases on the Chinese border across north-central Myanmar and through the rugged hills of Chin state down to Rakhine state. In a tribute to its ingenuity and persistence, the AA has evidently since 2014 managed to infiltrate men and weapons by motor road into both Rakhine state and neighboring Paletwa township of southern Chin state, where the group has reportedly set up a network of camps. To date, this process has been sufficient to build up a force loosely estimated at between 2,000 or 2,500 combatants in the Rakhine-south Chin theater. But as the conflict escalates, moving significant supplies of munitions into either region along roads subject to tight Tatmadaw scrutiny will become increasingly difficult. That will likely complicate the expansion of AA guerrilla forces into Rakhine’s south, where China has interests in developing the deep-sea Kyaukphyu port as part of a BRI vision of giving China’s landlocked southern provinces access to the Indian Ocean. The logistics dilemma will inevitably require the AA to look towards and across Myanmar’s western borders with India and Bangladesh – rugged, road-less, mostly jungle covered hills where its forces in both Chin and Rakhine states are already operating. Indeed, in the aftermath of January 4 attacks on police posts in Rakhine’s Buthidaung township, the Myanmar government publicly asserted that the AA was already operating in two camps inside Bangladesh – an allegation angrily dismissed by the government in Dhaka. Both India and Bangladesh are clearly monitoring the Rakhine crisis closely due to the porous nature of their borders with Myanmar. For its part, New Delhi has sought in recent years to offset Chinese influence in Myanmar by improving relations at all levels with Naypyidaw — with military-to-military cooperation accorded particular attention. Frustration in New Delhi over the unwillingness of the Tatmadaw to move decisively against camps inside Myanmar run by insurgents from India’s northeast has festered for years. Nevertheless, the Indian government has nothing to gain and much to lose by turning a blind eye to AA bases inside Indian territory, let alone to AA attempts to establish covert supply lines through India’s perennially restless northeast. Indeed, India’s cooperation with Myanmar in denying sanctuary to the AA inside the northeastern Indian state of Mizoram provides New Delhi with perfect leverage to encourage more assertive Tatmadaw action against Indian rebels known to be active in Myanmar’s northwestern Sagaing Division. From Naypyidaw’s perspective, Bangladesh presents an altogether different dilemma. Since Tatmadaw-led pogroms in 2016 and 2017 drove well over 800,000 Rohingya Muslims into Bangladesh, typically frosty relations between the two neighbors have plummeted. 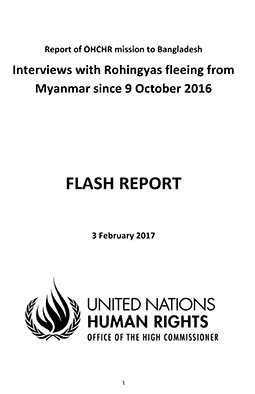 Despite the Memorandum of Understanding on Rohingya repatriation signed in November 2017, there has been no indication that Naypyidaw is willing to make concessions on either Rohingya citizenship rights or international monitoring mechanisms that would be basic preconditions for any large-scale return of refugees. Naypyidaw’s accusation that Bangladesh has permitted the AA to set up two camps inside its territory indicates clearly that Myanmar’s government is concerned that Dhaka is ready to use the AA to advance its position. Justified or otherwise, those fears have almost certainly been exacerbated by two recent attacks in Rakhine state’s Maungdaw township attributed to the Arakan Rohingya Salvation Army (ARSA) after a year of almost total military inaction by the rebel group. Those attacks included an ambush of a police vehicle on January 16 and an attack on a border post allegedly carried out from the Bangladeshi side of the border on January 24. Yet it’s doubtful that Dhaka has the political appetite or operational wherewithal to mount a diplomatically risky campaign of covert support for the AA under the current circumstances, regional and Western security officials and other analysts told Asia Times. Several sources said that the possible presence of AA operatives inside Bangladesh’s Bandarban district, where the local Marmar Buddhists are ethnic cousins of Myanmar’s Rakhine, would owe more to the realities of ethnic ties and smuggling activities across a rugged border than to any broader strategy by Bangladesh’s military intelligence directorate aimed to support insurgency inside Myanmar. For now, however, there is little to suggest that the AA’s new war will secure the sources of munitions along reliable supply lines it will need to expand its fight in the coming months. And that realization will almost certainly encourage the Tatmadaw to ramp up operations, as it has in recent days, with an aim to decimate the AA before the Rakhine conflict spreads any further. —Asia Times has relaunched on www.asiatimes.com. Download our brand new native App for a sweeping selection of geopolitical and business news from across Asia.